Located in Naha City Centre, this hostel is within 1 mi (2 km) of Palette Kumoji, Kokusai Dori, and Tomari Port. Shurijo Castle and DFS Galleria Okinawa are also within 3 mi (5 km). Asahibashi Station is only a 2-minute walk and Kenchomae Station is 8 minutes. Laundry facilities, a 24-hour front desk, and free WiFi in public areas are available at this hostel. Other amenities include a vending machine. 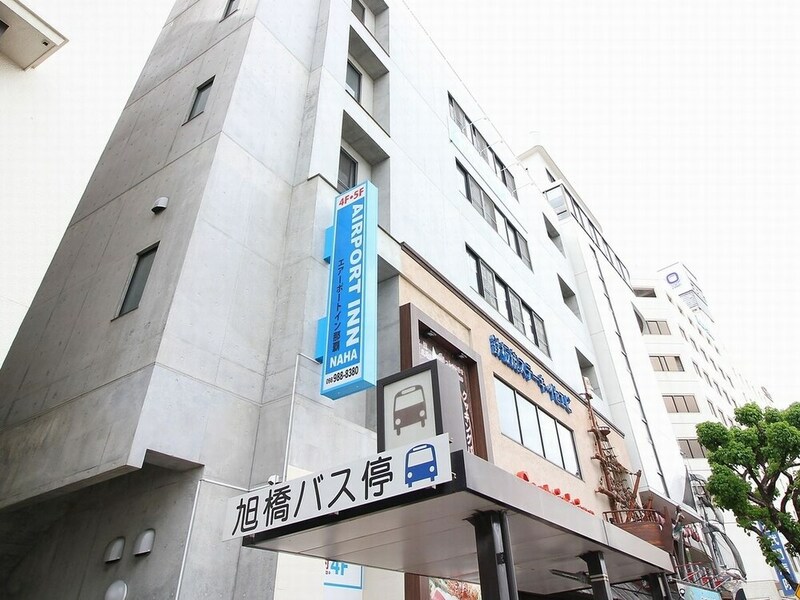 Airport Inn Naha Asahibashi Station - Hostel features a vending machine and laundry facilities. Wireless Internet access is complimentary. Children 5 years old and younger are not permitted at this property. The Japanese Ministry of Health, Labour, and Welfare requires all international visitors to submit their passport number and nationality when registering at any lodging facility (inns, hotels, motels, etc. ). Additionally, lodging proprietors are required to photocopy passports for all registering guests and keep the photocopy on file.